There were times during my play sessions with Sekiro: Shadows Die Twice where I was legitimately concerned I wouldn’t be able to finish it. That feeling hasn’t left. I’m still pushing through, one foot in front of the other. Each step I take and every battle I overcome is another lesson learned. Sekiro: Shadows Die Twice is From Software’s latest game, joining a long list of brutally challenging titles that kicked off ten years ago with Demon’s Souls. For a lot of players, the progression through to Dark Souls and then eventually Bloodborne came with its ups and downs, and although we all have our favorite entry in the series, our love for each title is often unmatched. Even a “bad” title is near-perfect by any other game’s standards. With Sekiro: Shadows Die Twice, the question a lot of players will be asking is whether it manages to live up to the notoriety of Hidetaka Miyazaki’s other work. To answer is briefly, yes it does. 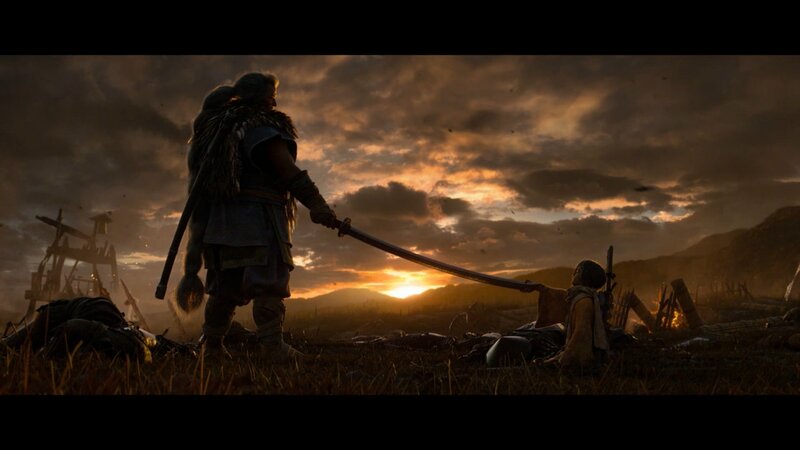 Sekiro is the evolution of the Soulsborne formula and despite its flaws, it may be my favorite in the series so far. Take on the role of Sekiro, the one-armed wolf, and serve your master no matter what. 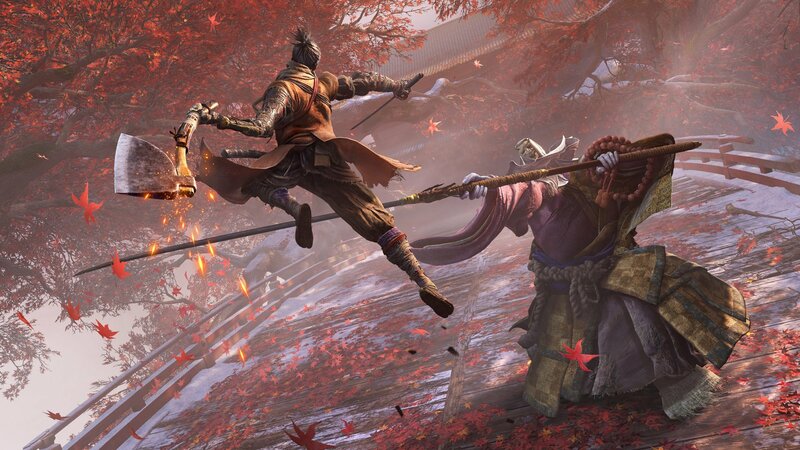 Set at the end of the Sengoku era in feudal Japan, Sekiro: Shadows Die Twice puts you in the jika-tabi shoes of a master shinobi. From this point on, your one creed is to protect your lord, Kuro. No matter what dangers you face and what challenges you encounter, that is the code you have sworn to live by. It was a rude shock stepping into the shoes of Wolf, the one-armed shinobi the game is titled after. Though I was expecting combat to be different, I wasn’t expecting to be backhanded so effortlessly by some of the earlier enemies and bosses. After ten years of growing accustomed to the style and tricks presented in Dark Souls and Bloodborne I was beginning to become, dare I say, an above-average player. So to be beaten down so swiftly was, in true masochist fashion, a welcomed surprise. I had to learn a new way to play and in some cases, I had to unlearn some deeply ingrained habits I’d formed. 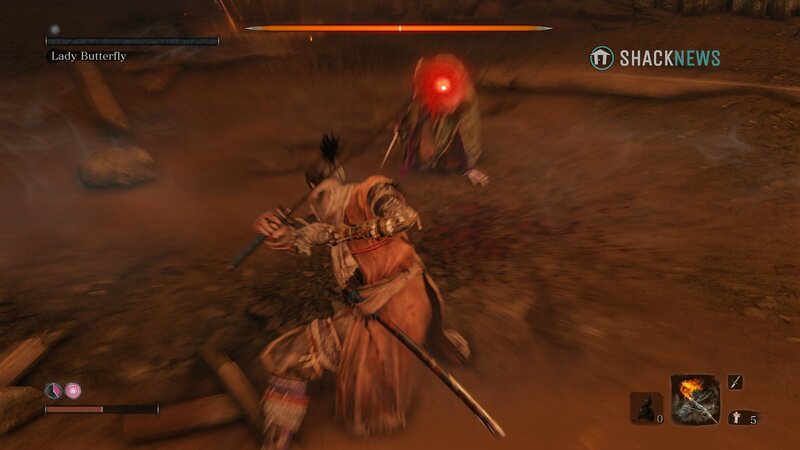 Sekiro’s combat system rewards aggression and precision. Unlike the previous titles, a well-timed deflection (a parry-equivalent move) doesn’t result in the enemy being staggered and vulnerable. Instead, in order to overcome your enemy you must deflect as many of their attacks as possible. The difficulty really ramps up when you face an opponent with a 9-hit combo that includes slight pauses. The reason for the need to deflect attacks is due to the posture system. Unlike Dark Souls or Bloodborne, you have no stamina management in Sekiro. You can run, jump, and attack to your heart’s content. What you do have, however, is a posture meter. The posture system means more attention must be given to good timing of parries, known as deflections in Sekiro. Every time you either hit an enemy that is guarding or perfectly deflect an enemy attack, they take posture damage. Completely filling their posture meter results in a deathblow opportunity, allowing you to kill them in one swift move, or in the case of bosses, remove one of their deathblow counters. This system is also tied directly to an enemy’s vitality. The lower your opponent’s health, the slower they’ll regain their posture. Combat becomes a balance of directly damaging their vitality and attempting to deal posture damage. All these systems flow together into a graceful dance – provided you can perfect the timing. Being able to land hits with your Kusabimaru katana, follow through with perfect deflections, and end it all with a deathblow feels more rewarding than any parry or visceral attack ever did. The Prosthetic Arm adds more variety to your combat choices. To further expand on the combat, you can unlock skills and abilities. Some of these are passive that increase your stealth capabilities while others are actual moves that can be swapped in and out. Over the course of the game, it’s entirely possible to unlock every single skill and ability. For some players, this might remove some of the replay potential. Part of what made Soulsborne games so appealing was the idea of replaying from scratch in order to create a different build. While the appeal of playing through again as a sorcerer or through using a bow-only build appealed to me, the time it takes to grind up the levels required to do so was too much. With Sekiro, you can unlock everything, though you can only use a few of these things at once. The replay value will no doubt come from attempting the game in New Game+ using different skills and the extremely versatile prosthetic arm. Sure, being able to shoot fire or throw down firecrackers is cool, but the grappling hook offers the biggest change to combat and movement. 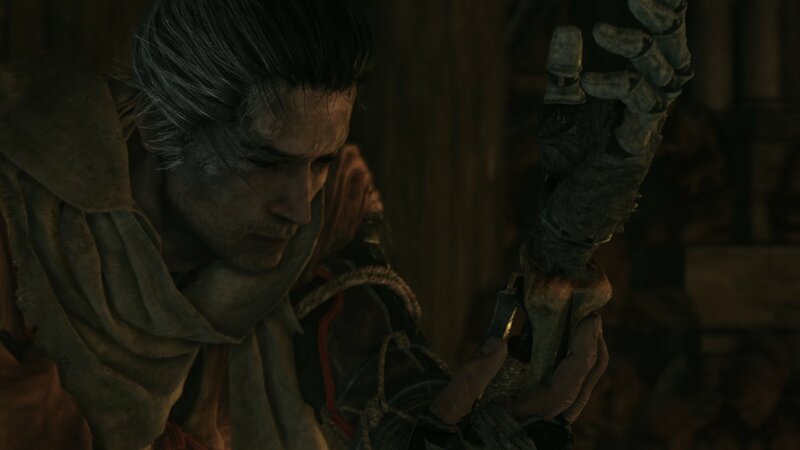 After a series of events, Sekiro will lose his arm only to have it replaced by a prosthetic. This device comes with a grappling hook and the potential to have tools inserted. A short-range flame blast, shurikens, an umbrella-like shield, even an armor-stripping spear are some of the tools you can equip. All of these tools work together with your skill and abilities to grow your ninja repertoire. Of all these tools, the most useful is undeniably the grapple. It might not be as useful during a boss fight as the firecrackers, but the grapple adds, literally, a whole new level to the Soulsborne experience. Instead of being locked to the ground, the grappling hook lets you swing through the skies, pulling yourself from point to point. Spider-Man, eat your heart out. The stealth mechanic allows you to approach combat from another angle. 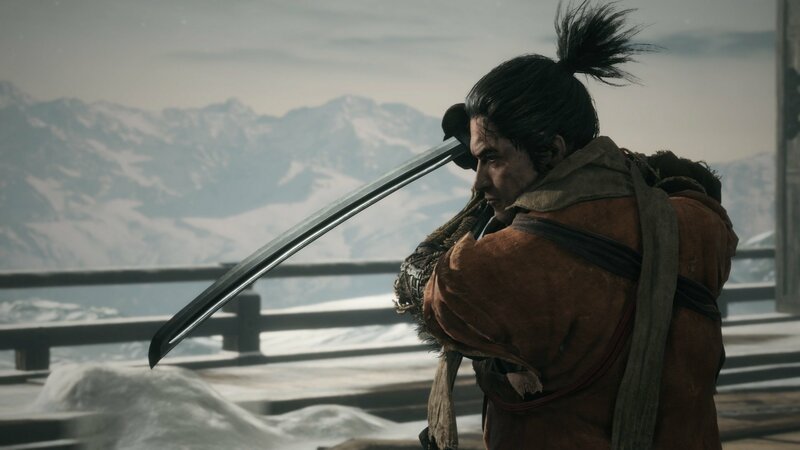 Sekiro: Shadows Die Twice also utilizes stealth to further upheave your muscle memory. Crouch-walking through streets, shimmying and peeking around corners, even disappearing in long grass are all worked into the layout and level design of many encounters. For a while I was banging my head against a boss, only to remember that this isn’t Dark Souls. I didn’t have to fight everything on my way there. I could grab the ledge, work around the area, stealth up behind the boss, and get a free deathblow before actually beginning the fight. I had to stop thinking like a board-and-sword soldier and start thinking like a master shinobi. Sekiro: Shadows Die Twice is visually stunning. The drab and dank castles and dungeons of Dark Souls and the gothic architecture of Bloodborne have been replaced with tiered pagodas, ornate temples, cherry blossom trees, and a general vibrancy. That’s not to say it doesn’t also offer those cold and lonely places. In fact, Senpou Temple, despite its beautiful vistas is one of the most unnerving locations. There’s an underlying sense of dread and decay in that temple that I found incredibly unsettling. All of this is matched by the epic soundtrack composed by Yuka Kitamura and Noriyuki Asakura. The strings, reeds, and percussion all flow and swell and crash and shatter as you land blows, deflect attacks, and otherwise embody a shinobi. It’s masterfully crafted and gorgeously executed. Dark Souls and Bloodborne were known for their enigmatic stories. Unravelling what was going on and even trying to understand their main stories was a challenge. 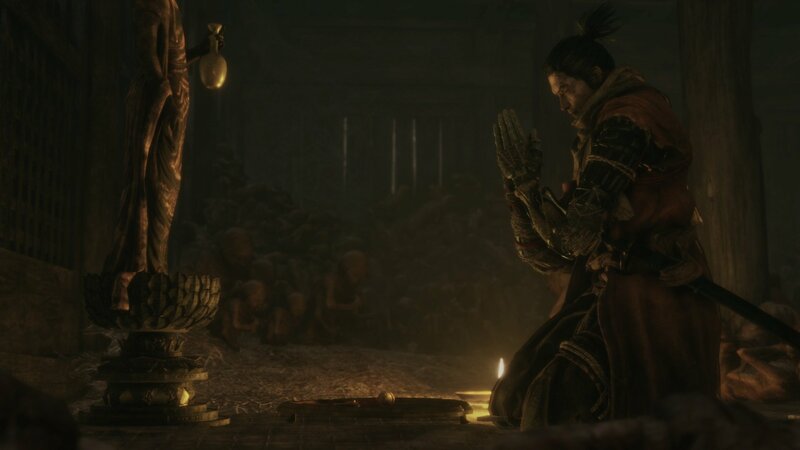 Although Sekiro does offer some deeper mystery and lore, the main story is comparatively easier to follow. In fact, most characters and NPCs you encounter will willingly talk to you – and you to them, given you’re no longer a silent protagonist. This information often paints a clear picture of what you are doing and a good reason why you’re doing these things. It might not be as secretive as previous titles, but it’s much easier to digest. However, there’s a rich mysticism that twists and winds through the entire experience. There are idols that act as bonfires, consumable items that mention priests and offerings, and symbology with water and being reborn. Linking it all together, and exploring the deeper meanings, will no doubt appeal to those who sought to unravel Dark Souls’ pendant mystery. In terms of narrative and lore, an unfortunate side effect of only having a few weapons to use is that there are limited item descriptions to read. A lot of what made previous titles so narrative-rich was being able to dive into these items and piece together backstories of characters that are mentioned only in passing. 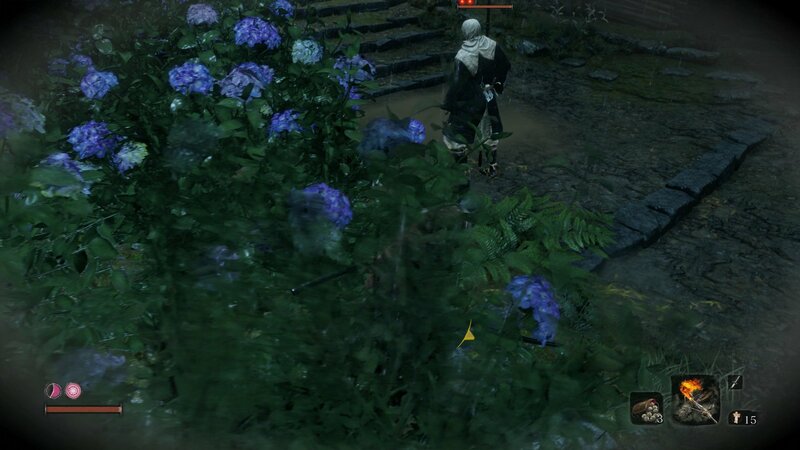 Very little of this exists in Sekiro, much to my disappointment. 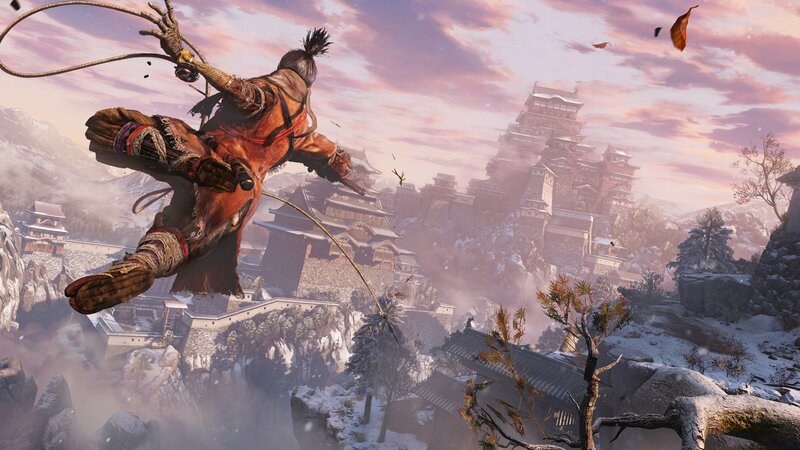 Sekiro: Shadows Die Twice stands tall among some of From Software’s most renowned titles. The challenge is clear and present, the story and mystery are equally intriguing, and the beautiful vistas and soundtrack work in perfect harmony. It might be entirely different to what came before it, but Sekiro: Shadows Die Twice is a near-perfect experience and a natural progression of the Soulsborne series. This review is based on an Xbox One download code provided by the publisher. 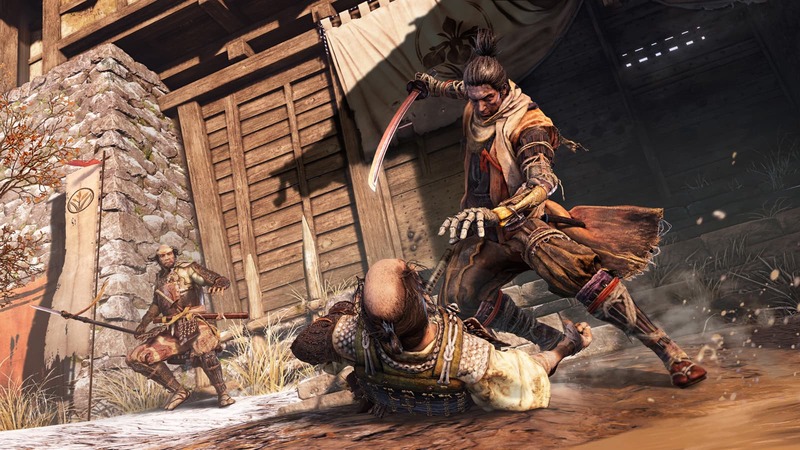 Sekiro: Shadows Die Twice is available in retail and digital stores now. The game has been rated M by the ESRB.